This article explains how you can pay your invoice online. Normally the billing is automated unless your billing method is Paypal, or for some reason your credit card was declined and you wish to pay via online with a new card number. 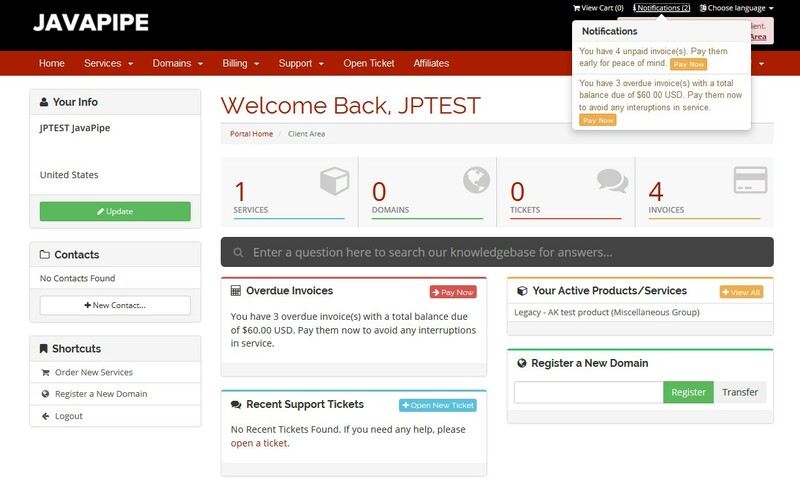 Log into your client area by clicking on the Client Area link in the menu of the javapipe website. 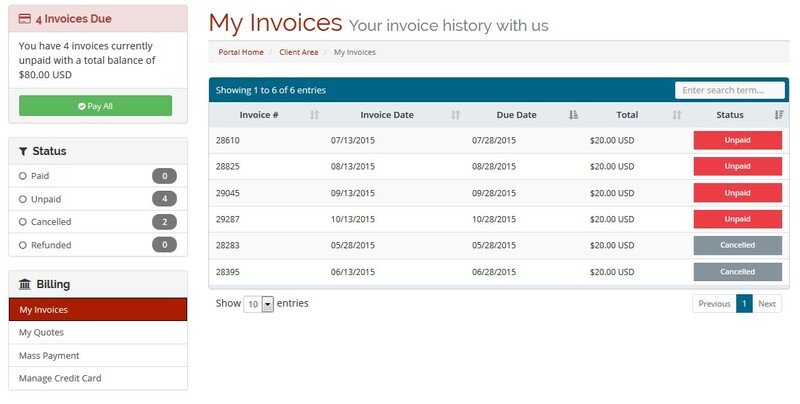 On the Home page of your Client Area, it will list any Unpaid invoices below. The Notification bar will also show any such notifications. The Dashboard also gives you quick access to invoices. Or you can click on Billing and then My Invoices in the menu view list of invoices. 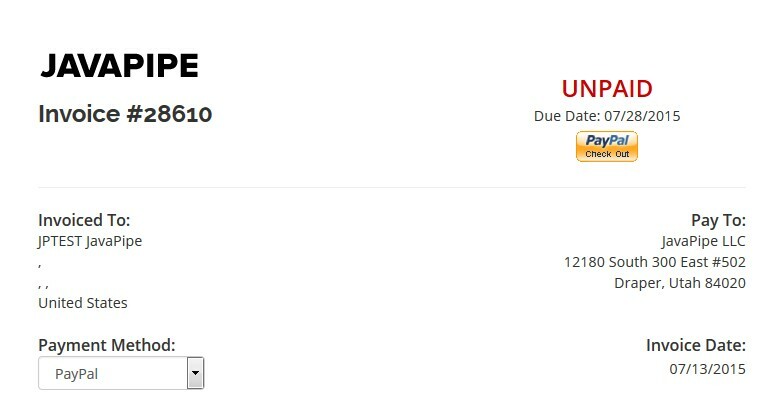 Click on View Invoice row for the invoice in question. Select the method of payment in the dropdown. Click Pay Now button and follow instructions. 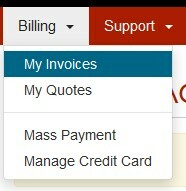 Also note: theres an option called Mass Payment that will allow you to pay all outstanding invoices at once.